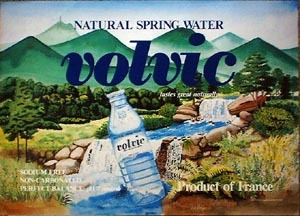 Wild West had a long history with the marketing team who imported Volvic Water for the Perrier Water Company. When they needed a point of purchase poster to place at the concession counters in United Artist Theaters Seal designed this poster. Remembering the water from the streams while backpacking in the High Sierra, though here the hills in the background are in France, the same hills featured on the Volvic label.